Also known as sawzall, reciprocating saw is one of the most powerful tools which can be used in a number of different projects. You can use it in demolition projects as starting from wood, this material can rip through everything varying from masonry to even metal. 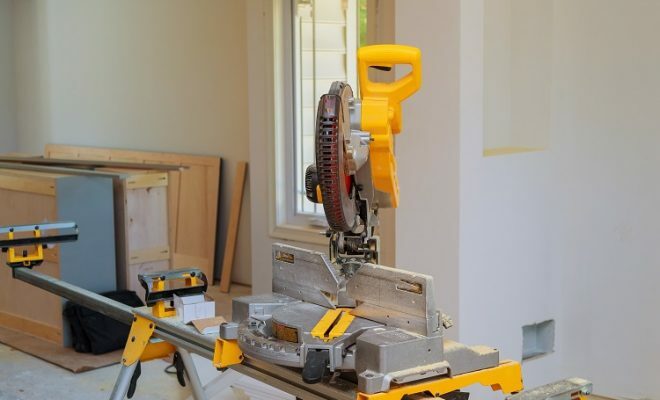 As compared to the crowbars or even the hacksaws, the reciprocating saw makes it extremely easy to rip through windows, glass, doors or just about anything. You just have to choose the right blade and the rest will be controlled by this cutting tool. Another thing which makes the reciprocating saw so special is that you can use it in all those hard-to-reach areas which are out of reach for other such equipment. Consider, for example, a PVC pipe under your sink. 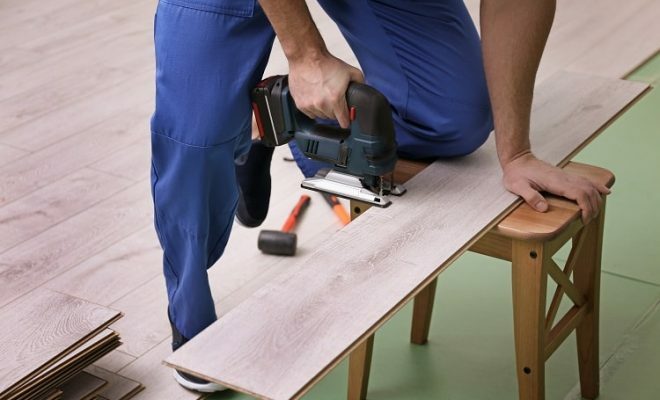 When it would be impossible for a circular saw or even a jigsaw to make cuts at this position, there is no such problem with this product. This is made possible by the reciprocating motion of its exposed blade which makes it so easy to cut in tight spaces. Furthermore, if you’ve to cut some materials over your head, you can do that with this product thanks to its lightweight design. When it comes to choosing the best reciprocating saw 2019 on today’s market, several factors come into play. First of all, you’ve to choose between a corded reciprocating saw and a cordless reciprocating saw. You also have to decide the optimal blade length which can be viable for your cutting project. And finally, the weight of this saw is an important consideration for all those woodworkers who’re going to use it for a considerable period of time every day. So if you’re looking to purchase the reciprocating saw that will satisfy your needs for woodworking, you’ve just landed at the perfect place. In the below mentioned reciprocating saw guide, we’ve compiled 6 best reciprocating saws which you can purchase from today’s market. The DEWALT DCS380P1 reciprocating saw is the latest addition to DEWALT’s 20 Volt Max Series. Featuring a 20 volt Li-Ion battery, this battery powered sawzall comes with a 4-position blade clamp which does well to enhance the versatility of this powerful tool. Furthermore, it has a 1.125-inch stroke length along with a double oil sealed shaft. So when you can use this product for a wide range of cutting projects, you can also use it for an extended duration of time. Backed by a powerful motor, the DEWALT DCS380P1 incorporates a decent cutting speed of 0-3000 strokes-per-minute. Depending on your project, you can adjust its speed with the help of a variable speed trigger. For example, if you’ve to cut thinner materials, you just have to press the blade in a gentle manner. However, when it comes to cut thick pieces of lumber, press the blade a bit harder and you’ll have the desired blade speed. 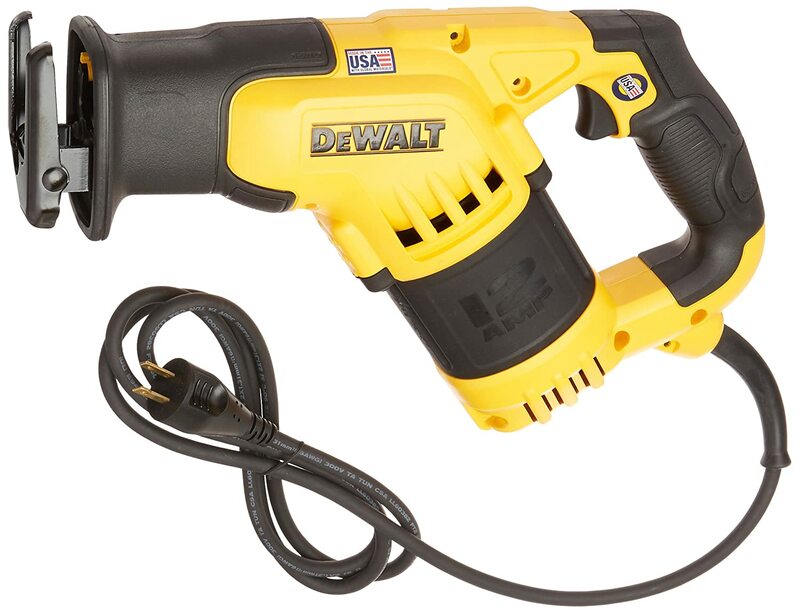 The DEWALT DCS380P1 runs on a 5.0 Ah Lithium-Ion battery. This is quite a powerful battery which, as compared to even the best corded reciprocating saw, provides the necessary power to rip through a number of different materials. Furthermore, this battery comes with an impressive runtime which is a must-have for the professional woodworkers. 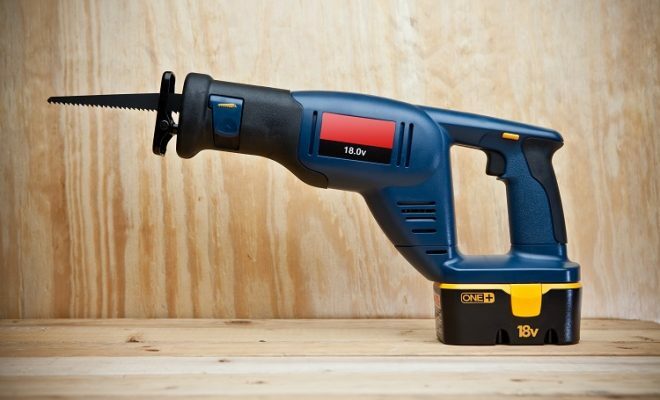 You’ll also get a fast charger for purchasing this battery reciprocating saw. This charger makes sure that once the battery runs dry, it will be recharged in a very short span of time. For extending the life of its blade, the DEWALT reciprocating saw makes use of an adjustable shoe. It means that every time you cut with this saw, you can move the shoe back and forth for exposing different parts of the blade. When you make use of different teeth on a frequent basis, it eventually enhances the service life of its blade. The DEWALT DCS380P1 combines power with flexibility. Incorporating a powerful 20V Li-Ion battery, this model is more than capable of handling the toughest of cutting jobs. With a variable speed trigger along with a decent stroke length, this model makes use of an adjustable shoe for optimal performance. So if you’re looking to purchase the best cordless reciprocating saw, and can afford to pay higher bucks as well, the DEWALT DCS380P1 is worth a try. The DEWALT DWE357 reciprocating saw is ideal for all those contractors, electricians and other woodworkers who often have to cut in challenging situations. Weighing in at 6.8lbs, this corded reciprocating saw incorporates an overall length of just 14.5-inches. Thanks to such a compact size, you can use it in all those tight spaces, such as in corners or under the sinks, which are out of reach of other cutting tools. The DEWALT DWE357 provides efficient, quick cutting in heavy-duty applications. This is made possible by its powerful 12AMP motor which allows the blade to run at 0-3000 strokes per minute. An additional variable speed trigger is provided so you can increase or decrease the speed of this saw as per your convenience. Moreover, this product comes with a 1-1/8’’ stroke length which means starting from wood, you can use this saw to rip through plastic, fiberglass along with many other materials. The DEWALT DWE357 comes with an intuitive four-position blade clamp mechanism which makes it quite a flexible product. Depending on the type of cut which you’re going to make, you can change the blade’s position in four different configurations. Adjusting the blade’s position is quite easy with the help of a separate yellow lever. This model basically comes with the keyless blade change mechanism so all you’ve to do is to lift the lever. So even if you’ve to do it in the middle of your job, you can change the position of the blade in a very short span of time. 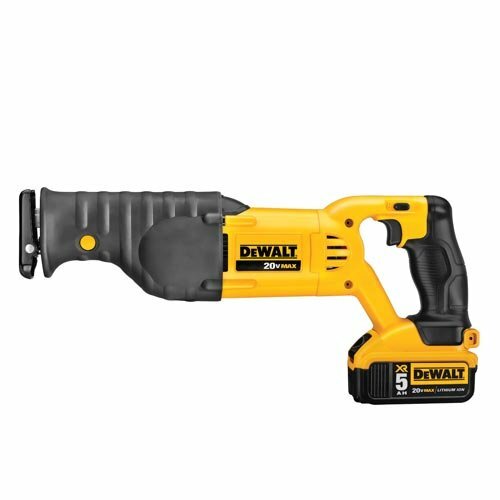 The DEWALT DWE357 incorporates an ergonomic handle which is ideal for a wide range of contractors. Basically, it reduces the discomfort while working with this equipment. So even if you’re going to use this saw all day long, it won’t cast much fatigue to your body. On making this purchase, you’ll also get a cloth case which makes it easy to store this equipment. This case is made of Nylon so you can use it for an extended duration of time. If you’re looking for a heavy duty reciprocating saw, the DEWALT DWE357 is one of the best sawzalls which you can purchase. Featuring a lightweight construction, this product makes it easy to cut in difficult situations with its powerful motor. Furthermore, it comes with a decent stroke length which makes it a viable cutting tool for the heavy-duty applications. Coming from a premium manufacturer in the field of power tools, the Makita XRJ01Z is designed for all those of you who’re looking for a compact reciprocating saw. Available in a stylish green/blue color scheme, this cordless saw weighs just only 3.9lbs. The overall length of this product is just under 15.7-inches which makes it easy to fit in tight crevices. Even with such compact dimensions, the small reciprocating saw is designed to handle small to medium duty cutting applications with a considerable ease. Featuring an 18 volt Li-Ion battery, the Makita XRJ01Z reciprocating saw produces up to 3000 strokes-per-minute. You can adjust its speed, with the help of a variable speed trigger. This particular feature comes handy for all those woodworkers who’ve to deal with a wide range of materials in their workshop. When they can slow down the speed for cutting thinner materials, they can always up to the entity when it comes to cut thick, dense materials. For making it a user-friendly saw, the manufacturer has designed the Makita XRJ01Z with a dual On/Off switch. When the first switch is the traditional trigger switch, the second one is the rather unconventional paddle switch. Such sort of construction makes it easy to turn off the saw without taking your hands off it. As a result, it not only enhances the versatility of this product but at the same time, it also ensures the safety of its user. The Makita reciprocating saw makes it easy to cut in low light conditions with the help of its built-in LED Light. This light will illuminate the material under consideration so you don’t have to worry about the accuracy of your cuts. In addition, it also saves you from purchasing extra lights. You can use almost any standard reciprocating saw blade with this cordless sawzall. Hence, you don’t have to worry about purchasing some fixed types of blades for this one. However, you do have to purchase the battery on your own as the manufacturer isn’t providing it with this acquisition. The Makita XRJ01Z is ideal for all those of you who’re looking to perform medium duty cutting applications with a cheap reciprocating saw. Featuring a built-in LED light, this product makes it easy to cut in tight crevices. With a 0.5-inches stroke length along with a decent SPM range, it can give you a good value for your money for moderate cutting applications. 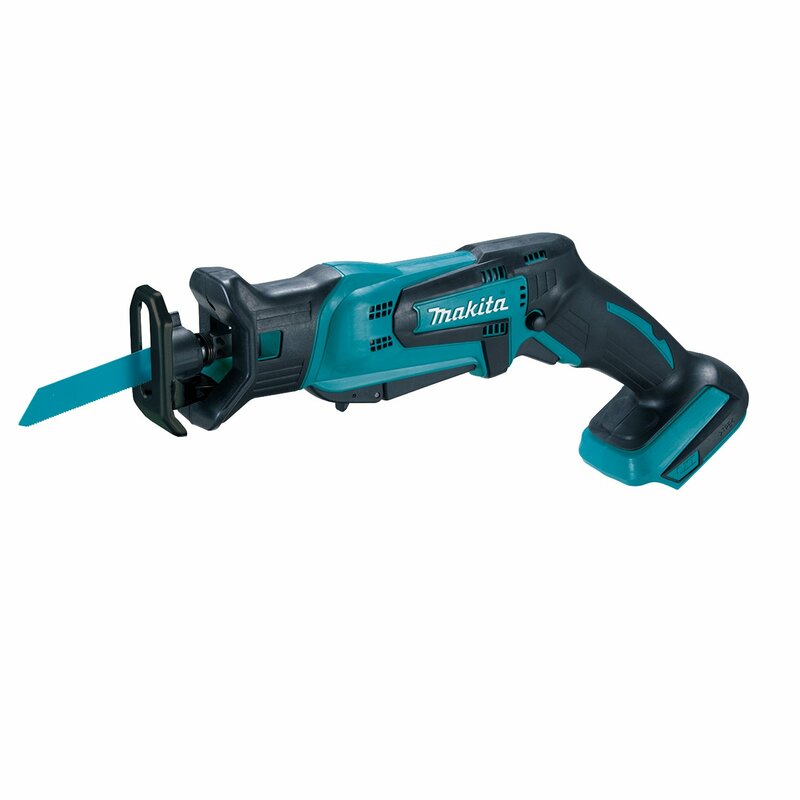 If you’re looking for a corded reciprocating saw, one which is pretty affordable as well, the Makita JR3050T is one of the best reciprocating saws 2019 which you can purchase from today’s market. Offering a powerful 11AMP motor, this product boasts a two-handed design. The overall weight of this saw is just above 7lbs but when you’ve to use both hands for operating this tool, it makes it easy to use this saw without feeling any kind of fatigue. The Makita JR3050T incorporates 0-2800 SPM with an imperious 1.125-inches stroke length. As compared to a majority of reciprocating saw reviews, this is a much better stroke length which makes it a viable cutting tool for the demolition projects. You can also adjust the speed, with the help of a variable speed trigger, which is becoming a norm with a wide range of reciprocating saws. It also features a tool-less blade change mechanism as all it takes is a few seconds to replace the older blade with a newer one. 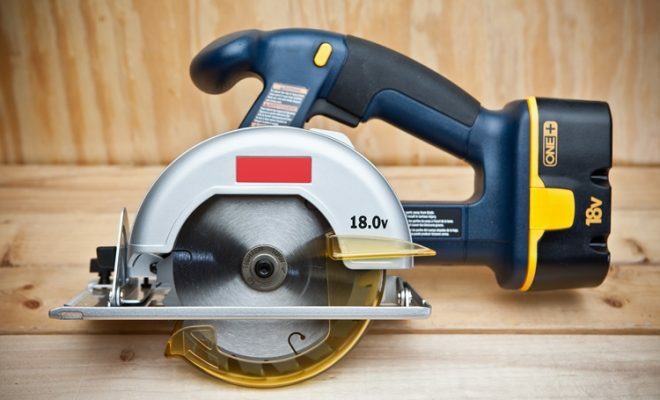 This product accepts 12-inch blades so keep that thing in mind while making this purchase. One thing which we found pretty impressive while testing the Makita JR3050T reciprocating saw, is the fact that it comes with a built-in dust blower. When you’re going to cut wood, plastic or even metal with this saw, it automatically removes the debris away from the material. As result, you’ll enjoy improved visibility which eventually results in a better performance. For improved stability, this product comes with a 2-finger trigger design. It also features a lock button which comes handy if you’re going to use this saw for extended durations. Once engaged, this button will keep the trigger pressed which reduces strain on your part. When it comes to tackling a wide variety of materials, the Makita JR3050T is one of the best reciprocating saws 2019 which you can purchase. This unit combines a powerful motor along with a wide SPM range and when it comes with a decent stroke length as well, it can handle everything which you throw at it on your job site. When it comes to Milwaukee, it is a pioneer in the field of reciprocating saws. In fact, it was this brand which manufactured the first ever reciprocating saw back in 1951. Since then this brand has produced a series of high-quality sawzalls and there is nothing different with the Milwaukee 6538-21. 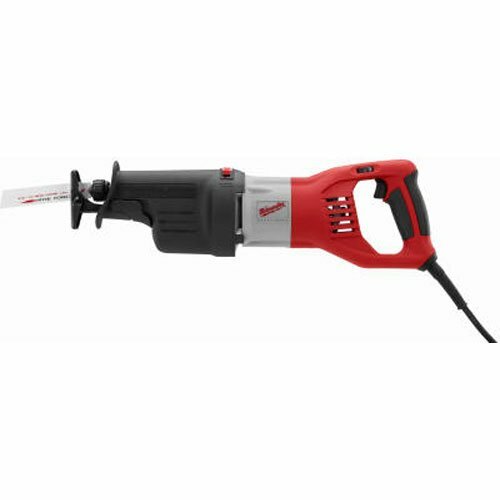 The corded reciprocating saw is designed for heavy-duty cutting needs as starting from wood, you can use it on metal, drywall or even concrete. This is an ideal tool for demolition projects so if you’re a professional contractor, the Milwaukee 6538-21 can be your ideal purchase. The Milwaukee 6538-21 makes use of a constant power technology for ensuring efficient performance. 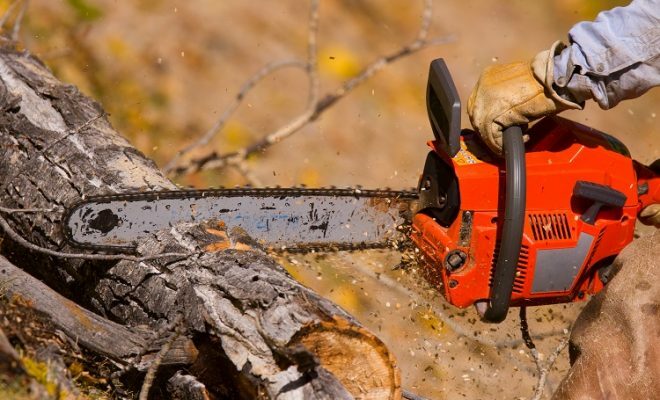 This technology makes sure that this saw is supplied with a constant supply of power at all times. Regardless of the type of material which you’re going to cut, you’ll always enjoy the same speed of blade without any kind of hindrance. As a result, you don’t have to worry about blade lockups while dealing with this saw. One thing which woodworkers often complain about reciprocating saws is having to deal with a lot of vibrations. It basically happens due to the reciprocating motion of its blade which eventually affects your performance on the job site. In order to make sure that no such problem exists with the Milwaukee reciprocating saw, the manufacturer has designed this model with a superior counter-balanced mechanism. 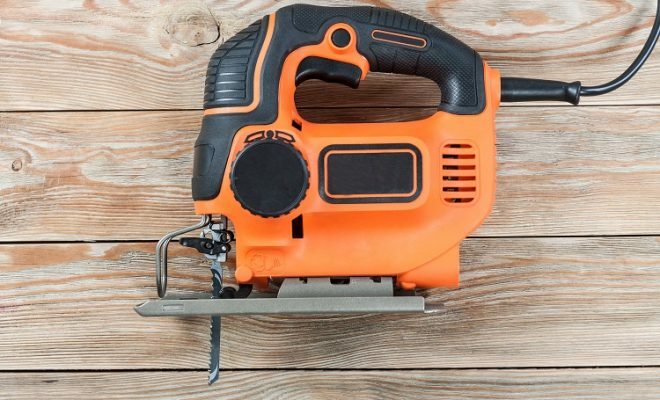 As compared to a wide range of reciprocating saws, this product tends to produce the least amount of vibrations while running at a smooth speed. For making sure that the owner of this saw can use it for a considerable duration of time, the Milwaukee 6538-21 comes with a superior overload protection. This particular feature comes handy for all those of you who’re going to use this saw for large-sized cutting projects. Basically, it prevents the motor from getting overheated and it also ensures that no other mechanical failures will occur regardless of the intensity of usage. So once you’ve purchased this saw, you don’t have to acquire another one for years to come. The Milwaukee 6538-21 reciprocating saw can be an ideal purchase for contractors, electricians as well as another set of professional woodworkers. As evident from its premium set of features, this product will handle any job on your job site. And when it comes with a durable construction, you can use this reciprocating saw for years to come. The Milwaukee 2720-20 is designed for all those woodworkers who’re looking for increased cutting capacity in a cordless reciprocating saw. Featuring a powerful 18volt Li-Ion battery, this product is designed to give you a corded saw like performance, without a cord. With a 0-3000 SPM range, it features a staggering stroke length of no less than 1.125-inches. So as compared to a majority of cordless sawzall reviews, this product incorporates a much-improved cutting capacity. 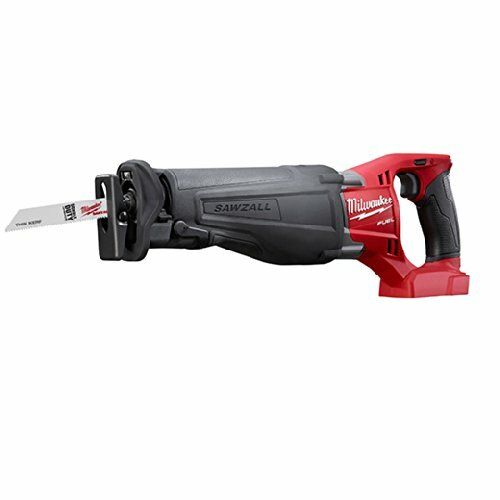 The Milwaukee 2720-20 features a 4AH Lithium-Ion battery which comes with an improved storage capacity. 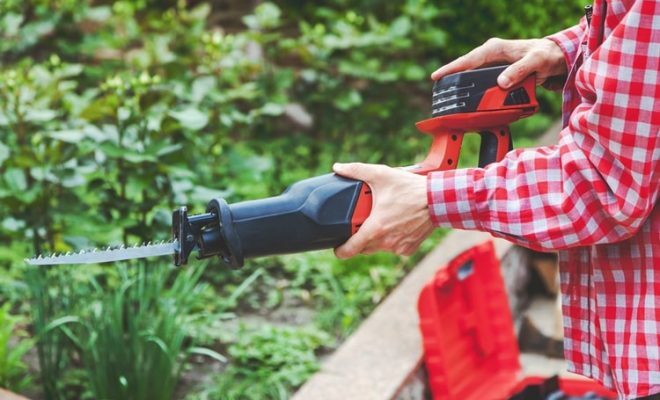 On a single charge, this product tends to produce twice as much run time as compared to a vast majority of cordless saws. This is made possible by its brushless motor so once you’ve charged this unit, it won’t run out of you in the middle of your job. For making sure that the owner of this saw won’t have to deal with unwanted surprises, the manufacturer has designed a battery gauge on one side of this unit. It basically notifies you how much battery is still left and when it’s time to recharge this model. However, one thing which you’ve to keep in mind is that the Lithium-Ion battery has to be purchased separately apart from the Milwaukee 2720-20. The Milwaukee 2720-20 reciprocating saw makes it very easy to replace one blade with the other. It basically features a tool-less blade change mechanism so you don’t have to deal with screwdrivers for this particular purpose. All you’ve to do is to rotate the lever – which is designed at the front portion of this saw – and the blade will come out. Similarly, just keep hold of the lever while inserting a new blade and you can do it in a matter of few seconds. Another thing which is impressive about this particular mechanism is the way in which this saw secures the blade. So regardless of the density of the material which you’re going to cut, the blade will stay secured in its fixed position. For convenient storage, the Milwaukee 2720-20 comes included with a rafter hook. This is quite a unique feature which isn’t normally found in other cordless reciprocating saw reviews. This hook is designed to withstand rough usage as unlike other cheap, plastic hooks, this one is made of all metal. Furthermore, it is very easy to use this hook which makes it simple to tuck away this battery sawzall. If you’re looking to find a corded saw like performance in a battery powered reciprocating saw, the Milwaukee 2720-20 is worth a try. Featuring a brushless motor, this product combines improved cutting capacity with a longer battery time. So when you don’t have to worry about dealing with the cord, you can also use this saw in medium to heavy-duty cutting applications.